2001 - 2019 Ford E Series Cut-a-way Van Grip Step Aluminum cab steps. Perfect for work trucks and commercial applications. 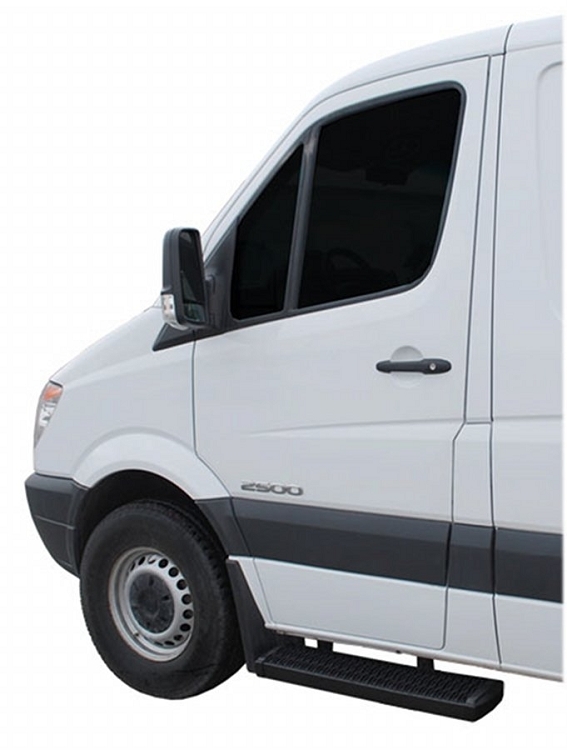 Each set includes two 36 inch steps (1 for driver side and 1 for passenger), mounting brackets and instructions. Steps have innovative all weather grip surface. 2001 - on Ford E Series Cab Cut-a-way. Drilling may be required.